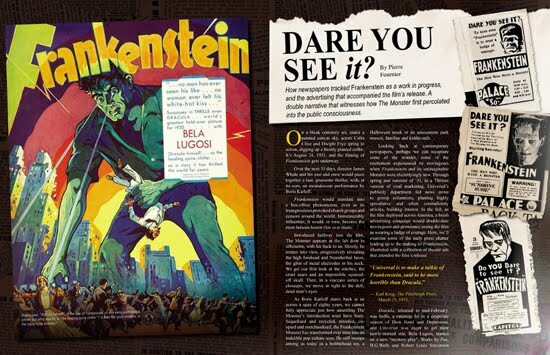 Frankensteinia: The Frankenstein Blog: Monsterpalooza Magazine, Hot Off The Press! Monsterpalooza Magazine, Hot Off The Press! Here’s a real Halloween-time treat: The inaugural issue of Monsterpalooza Magazine is out now! 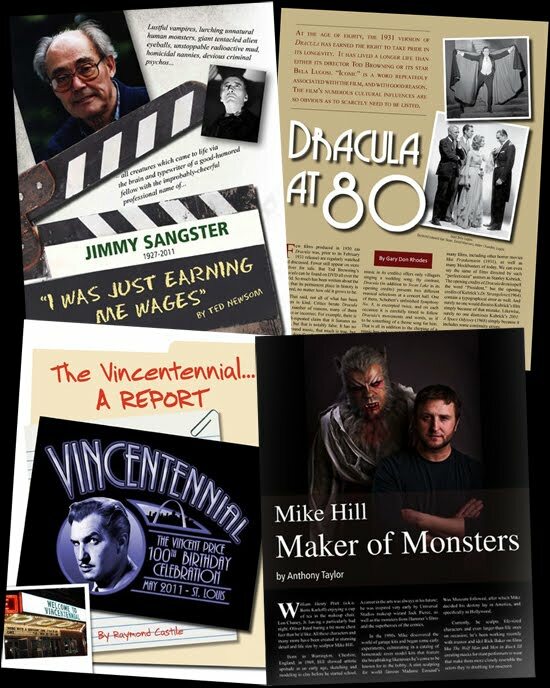 Published and edited by Mark Redfield and Michael Heisler, beautifully designed by Theresa Ratajczak, Monsterpalooza celebrates monsters, old school to cutting edge. I’m honored to contribute and humbled to share its pages with writers such as Gary Don Rhodes, Ted Newsom, Raymond Castile, Anthony Taylor, and artists Frank Dietz and George Chastain, to name but a few of the all-star contributors. Marking the 80th anniversary of James Whale’s Frankenstein, my article, Dare You See It?, tracks gossip and newspaper articles published early in 1931 as the film was being conceived and created. The article is illustrated with examples of the newspaper ads and ballyhoo that attended Frankenstein’s late autumn release. Together, these parallel narratives explore how the film and its now iconic Monster first percolated into the public consciousness. Monsterpalooza No. 1 is available now, directly from the publisher. 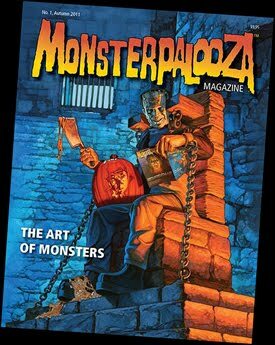 Here’s the magazine’s website and Facebook Page, here’s a special sneak peek at what’s inside the first issue, and here’s how to order your copy of Monsterpalooza Magazine!